Kihlstrom Equipment, a U.S.-based international company, is evaluating an overseas investment. Kihlstrom's exports of drill bits have increased to such a degree that it is considering building a distribution center in France. The project will cost € 2 million to launch. The cash flows are expected to be € .9 million a year for the next three years. The current spot exchange rate for euros is € .5. Recall that this is euros per dollar, so a euro is worth $1/.5 = $2. The risk-free rate in the United States is 5 percent, and the risk-free rate in "euroland" is 7 percent. 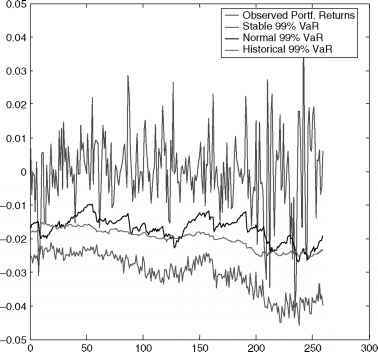 Note that the exchange rate and the two interest rates are observed in financial markets, not estimated.3 Kihlstrom's required return on dollar investments of this sort is 10 percent. 1. The home currency approach. Convert all the euro cash flows into dollars, and then discount at 10 percent to find the NPV in dollars. Notice that for this approach, we have to come up with the future exchange rates to convert the future projected euro cash flows into dollars. 2. The foreign currency approach. Determine the required return on euro investments, and then discount the euro cash flows to find the NPV in euros. Then convert this euro NPV to a dollar NPV. This approach requires us to somehow convert the 10 percent dollar required return to the equivalent euro required return. The difference between these two approaches is primarily a matter of when we convert from euros to dollars. In the first case, we convert before estimating the NPV. In the second case, we convert after estimating NPV. It might appear that the second approach is superior because, for it, we only have to come up with one number, the euro discount rate. Furthermore, because the first approach requires us to forecast future exchange rates, it probably seems that there is greater room for error with this approach. As we illustrate next, however, based on our previous results, the two approaches are really the same.